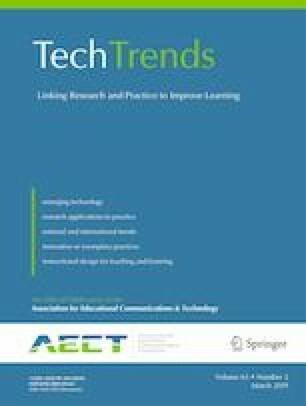 Virtual classroom simulations can offer pre-service teachers unlimited opportunities for teaching practice that help them sensitize to classroom diversity. The purpose of this case study was to describe a collaborative simulation design studio initiated between two universities in South Korea and U.S.A. while American pre-service teachers visited South Korea for five days as part of the student exchange program. This paper presents the main components of the design studio program with detailed descriptions of design activities, in which South Korean and American pre-service teachers created four classroom management scenarios and corresponding virtual students/classrooms. We also shared how the design studio experiences helped participants understand different classroom cultures by analyzing their responses to the reflection questions, design outcomes, and the researchers’ observation notes. The results showed that the design studio experiences were beneficial for participants to understand different classroom cultures. The analyses revealed two major themes emerged from participants’ responses to cultural differences and similarities: classroom management and student attitude. In addition, participants shared perceived benefits of the collaborative design studio experiences: social engagement and tangible experiences. This research was supported by the University of South Florida Nexus Initiative Award. Sanghoon Park declares that he has no conflict of interest. Jeeheon Ryu declares that he has no conflict of interest. Kristen McChesney declares that she has no conflict of interest. Please respond to the following questions based on your design studio experiences during the last five days. 1. How much did you know about the classroom culture in South Korea (or America) before participating in this culturally collaborative design studio? 2. How much did you know about the virtual character design and development before participating in this culturally collaborative design studio? 3. What cultural differences did you find between the classrooms in South Korea and USA? Why do you think there are such differences? 4. What cultural similarities did you find between the classrooms in South Korea and USA? Why do you think there are such similarities? 5. Was this culturally collaborative design studio helpful to understand classroom cultural differences between South Korea and USA? How? 6. What parts of this culturally collaborative design studio did you particularly like or enjoy? 7. What did you find frustrating while participating in this culturally collaborative design studio? 8. How did you overcome the frustration or challenges? 9. Have you changed any ideas you used to have on Korean classrooms (American classrooms) after this culturally collaborative design studio? 10. What would you suggest us to change in this culturally collaborative design studio when we offer it next year? Braun, V., & Clarke, V. (2006). Using thematic analysis in psychology. Qualitative Research in Psychology, 3, 77–101. https://doi.org/10.1191/1478088706qp063oa. MacSuga-Gage, A. S., Ennis, R. P., Hirsch, S. E., & Evanovich, L. (2018). Understanding and trumping behavioral concerns in the classroom. Preventing School Failure: Alternative Education for Children and Youth, 62(4), 239–249. https://doi.org/10.1080/1045988X.2018.1456398. Park, S., & Ryu, J. (2019). Exploring preservice teachers’ emotional experiences in an immersive virtual teaching simulation through facial expression recognition. International Journal of Human–Computer Interaction, 35(6), 521–533. https://doi.org/10.1080/10447318.2018.1469710.